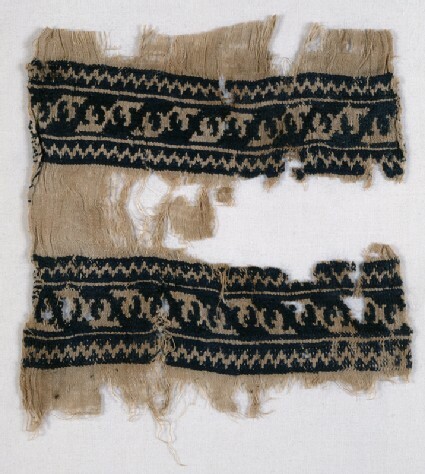 The rolled hems at the sides of this strip of fine embroidered linen indicate that it is from a scarf or girdle, and its width measurement is approximately the same as the scarf/sampler No.21 [EA1984.489]. 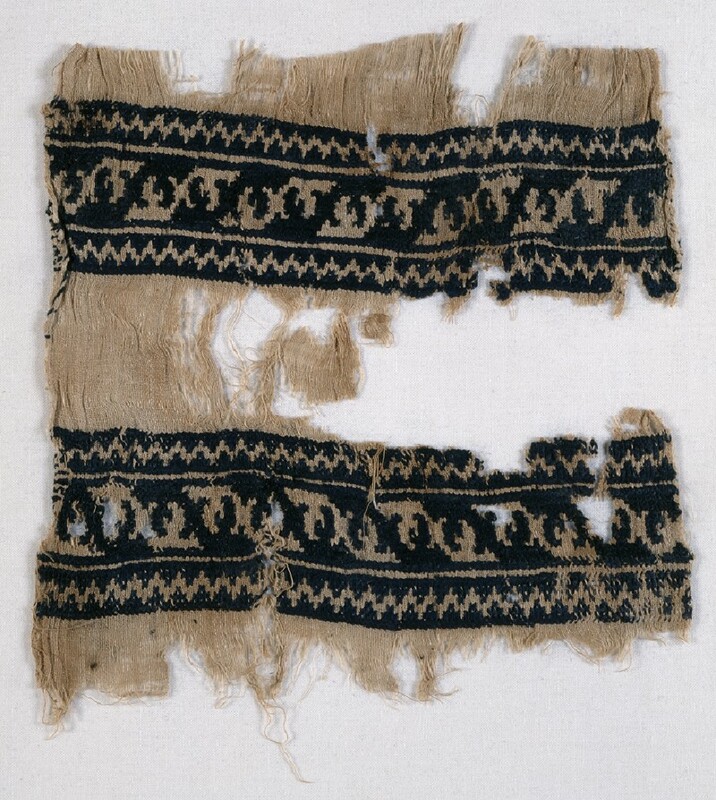 Repeating foliate S-shapes, exactly the same as the one worked on the sampler above No.35 [EA1984.502], form the pattern on one band, while on the other they are reversed to form foliate Z-shapes. An attractive design has been produced by arranging the motifs in counterchange fashion, that is, with the image arranged alternately in positive and negative form along the bands, and enclosing them with borders of geometric chevron pattern. Two bands of paired leaves between narrow chevron borders. The embroidery provides the background.